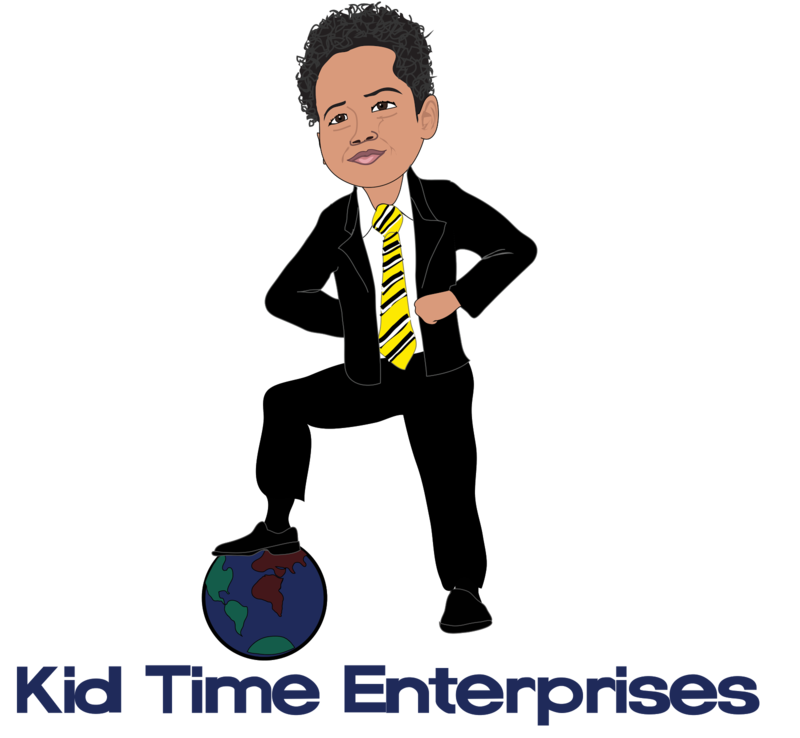 Kid Time Enterprises, LLC: Please read my interview with founders of Black Streak Kitchen. Support a veteran-owned business! Please read my interview with founders of Black Streak Kitchen. Support a veteran-owned business! Please enjoy my special interview with Black Streak Kitchen. Two brothers, Terry Raimey and Justin Raimey, teamed up to make cooking fun and nutritious! Read how you can change the way your family cooks and eats. Do not forget to download the app that is available via www.blackstreakkitchen.com and support a veteran-owned business. KTE: Where are you from? Where is your business based? Black Streak Kitchen: We are based in Youngstown, OH. Since our father was in the military, we moved around quite a bit as kids. KTE: How did you get interested in doing a food business? Are you trained chefs or self-taught? Terry: Growing up, our mom and dad cooked for our family everyday. Healthy eating was important in our home for as long as I can remember, so once I left my parents home I continued cooking for myself. My parents taught me how to cook as a kid. My best friend, who is a chef, has also taught me quite a bit about cooking. We bounce ideas off of each other for new dishes, we hit the grill together and blend different ingredients and flavors. It’s a lot of fun! KTE: Where did the idea come from? Terry: I am a writer and Justin is the artist and graphic designer of everything Black Streak Entertainment (Black Streak Kitchen’s parent company). We wanted to do something new and unique with our stories and artwork, something no one else in the comics and animation industry had ever done. One day, I saw an ad for one of those grocery/recipe delivery services and thought it would be really cool to apply our artwork to something like that, and gear it towards kids, teens and families. So, we created Black Streak Kitchen as a source to teach kids, teens and families that cooking healthy can be delicious, while teaching how the ingredients benefit their bodies and minds. I love to cook and create new dishes by fusing unorthodox fresh ingredients and flavors. I love how eating healthy makes me feel and look; it’s very satisfying to me. I want everyone to experience that satisfaction. KTE: What does Black Streak Kitchen mean? Justin: Black Streak Kitchen is a branch of our company Black Streak Entertainment. The word “black streak” was chosen because it represents creativity. When one starts an art piece, it will start off with a simple black stroke that will evolve into a finished work of art. That black streak has the possibility of turning into anything the mind can think of, and we hope to inspire this thought into our readers through our stories, comics, and recipes. KTE: What things will your business offer, and when will it launch? Terry: The first issue of Black Streak Kitchen Comics will go on sale January 15th. 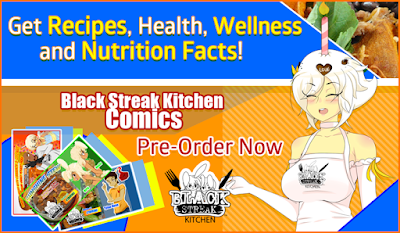 Black Streak Kitchen Comics will release once a month, and feature 4 recipes taught by our Character Chefs. 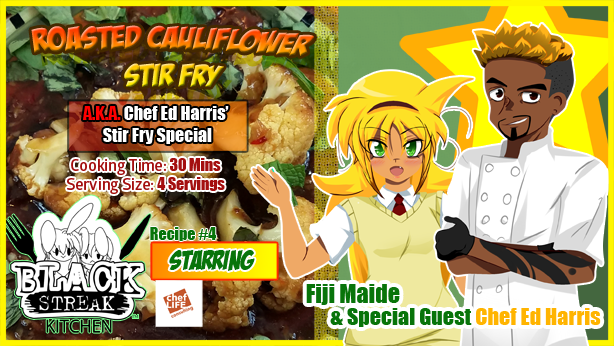 Think of it as a cooking show, except the recipes are taught by cartoon characters in the form of a comic book! Each monthly issue will also feature 2 recipes with meat and 2 vegetarian recipes. KTE: Do the comics teach kids how to cook healthy food? What ages can learn from what you do? Terry: We definitely make sure our recipes are healthy and use fresh ingredients like lean meats, spices, fruits and vegetables. Our comics are made for kids and families, so we suggest parents cook with their kids. It’s the safest way to cook and it’s also a great way for parents to spend time with their kids and bond with them. Family togetherness is important! KTE: Please tell me about your app? Terry: Our free mobile app, Black Streak Kitchen App, is available now for Android and iPhone. 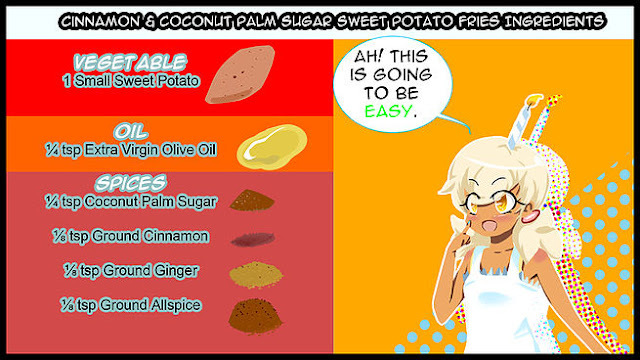 Through it, we share content from our website like recipe comics and our animated Spice of the Week videos, where our Character Chefs break down nutrition facts about cooking spices. We use the app to keep our audience up-to-date on everything Black Streak Kitchen has to offer! KTE: Who is a veteran and what branch did serve in? Terry: That would be me! I served in the U.S. Air Force, enlisted. KTE: Are you accepting pre-orders? If so, what for? What will be free and what will you sell? Terry: We are accepting pre-orders for Black Streak Kitchen Comics #1. You can preview and pre-order the digital comic at blackstreakkitchen.com/pricing. Our monthly recipe comic issues cost $5.99, but the Black Streak Kitchen App, our animated videos, and select comic recipes are free for anyone to check out! KTE: What is your website address and social media information? Wow! After reading your article , I think there food business is nice. I like the way of cooking food for kids is nice and give them healthy and hygienic food is a nice work. Find the best new restaurant business kuwait at gourmet me.